September 20, 2011 marks the one year anniversary of Every Woman, Every Child, a global effort to achieve country-led commitments to bring life-saving health care to millions of women and children in the developing world by 2015. This series looks at maternal health in several countries with the highest number of maternal deaths every year. UNFPA, UNICEF, WHO, the World Bank and UNAIDS (known as the Health 4+) are supporting these countries to achieve their Global Strategy commitments. MAULVIBAZAR, Bangladesh — When a woman in labour seeks her help, Kanchan Bala Roy is confident she can oversee a safe delivery. The rural health centre where she works was recently equipped for deliveries, as part of a broad initiative to make childbirth in Bangladesh safer. Kanchan, a family welfare visitor, got new training: She now is better able to manage normal deliveries at the centre or in clients' homes. And she can tell when a mother needs to be rushed to the district hospital. But what if the woman is powerless to heed her potentially lifesaving guidance? Kanchan was alarmed by the case of Taslima, 18, who came to her centre one August morning after a night of severe labour pain. Hours later, Taslima's cervix had not dilated. The clinic has no electricity, and evening was approaching. "The patient was suffering for a long time and there was no progress," Kanchan says. "I told her relatives this could seriously harm mother and baby. 'She has to deliver in the hospital, not at home or in the clinic.'" Despite Taslima's condition, her father-in-law took her back home rather than pay for a longer trip to the district hospital. The fare, equivalent to two dollars, was a substantial sum for a family living hand to mouth. "He said, 'It is the man who brings home money, so I will decide what to do,'" the health worker recalls. Subsequently, he would claim no one told him his daughter-in-law was in danger. When Kanchan and a medical officer showed up later at the family's home (a dark, crowded shack made of corrugated iron and thatch), the young mother-to-be was lying unattended and in agony. 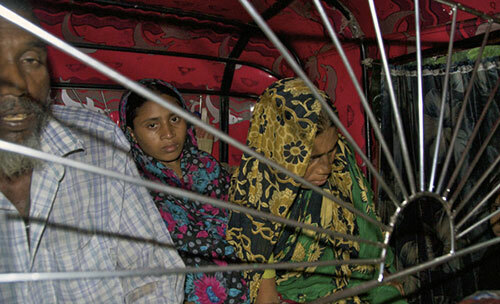 After some discussion the father-in-law relented, and once a heavy downpour subsided Taslima was put in a tricycle taxi. Fortunately, it was not too late and the hospital emergency team was ready for her. She had a successful Caesarean section that night. Surgical deliveries have doubled at the district hospital here since a United Nations project last year trained additional doctors and nurses and built a new operation theatre that can accommodate two procedures at a time. The upgrade is part of a joint effort by UNFPA, UNICEF and the World Health Organization to help the Government improve maternal and newborn health care. In four of the country's 64 districts, community clinics, family welfare centres, subdistrict health complexes and hospitals have gotten new equipment and stocks of basic drugs and supplies. 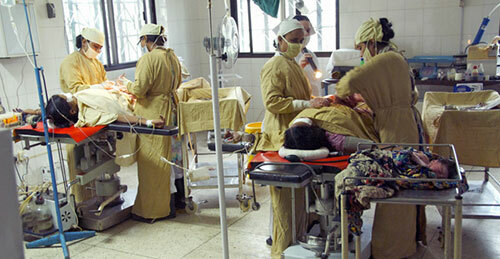 Health workers at various levels have received training. Communities are being mobilized to use the improved services. The United Kingdom, the European Union and Canada are funding the interagency project, which will soon be scaled up to cover 16 more districts. Childbirth in Bangladesh has become safer in the past 20 years, but there is a long way to go. The United Nations estimates that every year some 12,000 die from avoidable causes related to pregnancy and delivery. Three out of four women still deliver at home without a skilled birth attendant. To help address this gap, free prenatal and delivery services are being offered closer to where women live. In Maulvibazar district, 28 previously abandoned community clinics have been renovated with support from the joint project. The number of clients has risen steadily since the clinic in Mobarakpur village reopened last year. Roshana Begum, a paramedic, has been trained to conduct prenatal check-ups and normal deliveries. Eight out of 10 pregnant women she examines are malnourished, Roshana says. Many are at additional risk because of their young age. Two thirds of Bangladeshi girls are married before age 18 and many marry much earlier. Beauty, four months pregnant at 16, came to the clinic weakened by anaemia, jaundice and a reproductive tract infection. Roshana was very concerned. She told Beauty to go see a doctor at the subdistrict health complex right away. Sadly, Beauty had no say in the matter. Two days later, her family had still not taken her to the doctor. Instead, they were treating her with herbal remedies. Then a visitor from a local NGO persuaded them that there could be serious problems if they ignored Roshana's instructions. Beauty was taken to the doctor the next morning. He judged her problems serious enough to refer her to the district hospital. There she had to wait for a bed briefly, but soon started treatment and went home six days later in much better condition. Beauty's case, like Taslima's, shows why authorities are employing more grassroots-level health motivators, to educate poor communities about maternal and child care and the importance of using the services now available. They provide a vital link between health providers and clients. Community health volunteer Momtaz Begum keeps track of pregnant women in 600 families in villages near Mobarakpur (currently there are 40). She visits their homes to counsel them on giving birth safely. Momtaz also leads outdoor group discussions with women and adolescent girls on family planning and staying healthy during pregnancy. In a shantytown teeming with small children, Sriti Rani Malakar advises her pregnant neighbours to use the nearby family welfare centre, where Kanchan provides basic services. Sriti, 20 and single, became a health volunteer after finishing high school, a rarity in her community. Dipali, expecting her fourth child, is having a prenatal exam for the first time. Sriti had to make four visits before the family agreed to send her to the centre. After thrice giving birth, painfully, at home on her own, Dipali says she plans to have this baby at the clinic with Kanchan attending. 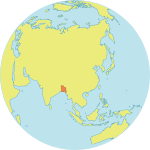 NARAYANGANJ, Bangladesh — To make further progress in reducing maternal deaths and disability, Bangladesh is creating a cadre of full-time midwives trained according to international midwifery standards. At last year's launch of Every Woman, Every Child, which grew out of the UN Secretary-General's Global Strategy on Maternal and Child Health, Prime Minister Sheikh Hasina made strong and specific commitments to deploy 3,000 midwives by 2015. UNFPA is supporting the effort. Hundreds of nurses are now upgrading their knowledge, spending several months in the classroom followed by practical training. In the district hospital maternity ward one recent morning, trainees were showing new mothers how to breastfeed their babies. Earlier in the day, several helped to stabilize an emergency patient brought in with post-partum bleeding. Fatima has been a nurse midwife for 12 years, but says she's learned a lot. "I used to conduct prenatal exams without even asking the patient's history," she admits. Now she is trained to provide sensitive, holistic care, interacting with patients in a motherly manner and monitoring their progress throughout their pregnancies. She has also learned to keep 'hands off' during delivery rather than trying to pull the baby out. She can now manage difficult deliveries on her own, knowing when to administer drugs to induce labour or prevent haemorrhaging. 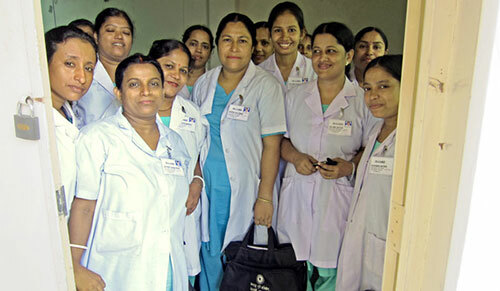 "Our motto is, 'Practise independently,'" says midwifery trainer Sufia Khatun. At the same time, the students learn to recognize when a case is too risky and must be referred for surgical delivery. This summer the first graduates of the programme returned to their hospitals to start using their new skills. At the health complex in Tongi Bari, midwife Hasne Ara Begum is providing follow-up care to Liza, 20, after the birth of her second son, Jihad. Liza has used oral contraceptives, but sometimes forgot to take the pills, so she wants to use a longer-lasting family planning method. Hasne tells her about other options. A direct-entry midwifery programme will start soon.